The holiday season is the best time to share our appreciation of others, and nothing does that like a handmade Holiday card. Get cozy this season with Paper Pumpkin, your One-Stop Box for Christmas paper-crafting fun. Subscribe by November 10th and you’ll get our specially-designed box filled with everything you need for a holly-jolly, handmade holiday. Haven’t heard of Paper Pumpkin yet? 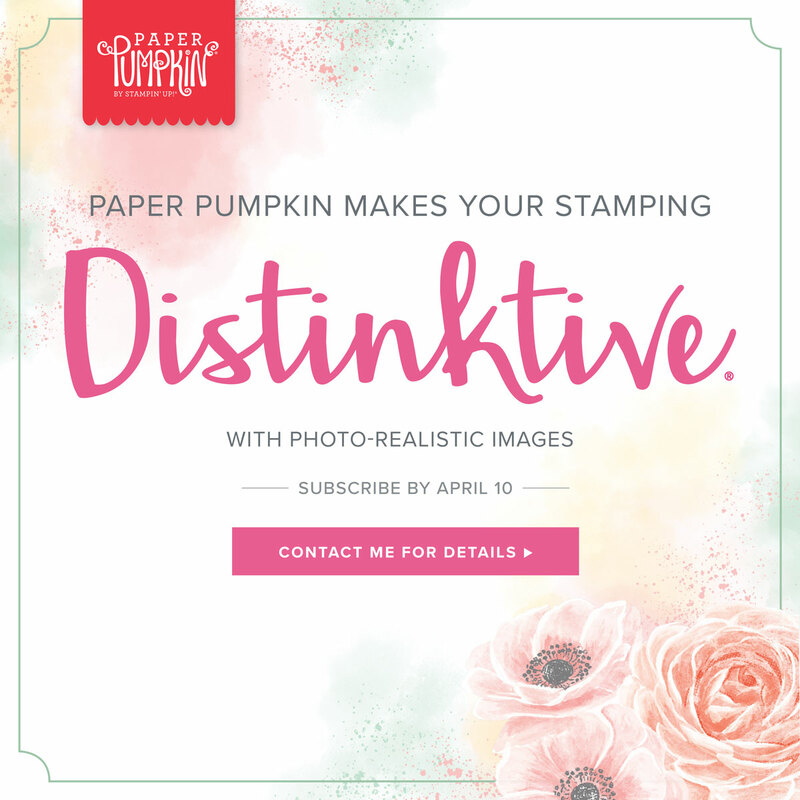 Paper Pumpkin is a fully designed project kit that arrives at your door each month with exclusive stamps, ink spot and paper – everything cut and ready to go. We do the work, so you can skip to the fun! Each month you will be surprised with fun projects like cards, gift packaging, home decor and more for just $26.95 a month (shipping included). As a Paper Pumpkin subscriber you have the freedom to suspend your subscription for a month or cancel at any time. Kits are shipped out around the 15th of the month. To find out more or to sign up for your monthly Paper Pumpkin to be delivered to your doorstep please click on this link and follow the simple steps. I have a special gift for anyone that signs up before November 10th! I just love the plaid design. This fabulous November box is a great sneak peak of what’s inside!! Are you thinking ahead about Christmas gifts? A Paper Pumpkin prepaid subscription would make the perfect gift for that crafty person on your list. To be sure that you don’t miss out on the Holiday special Paper Pumpkin sign up for yours by November 10th! I know it’s just October but I am busy crafting for the upcoming Christmas craft fairs. I have completely fallen in love with the Signs of Santa Suite. It is just so stinkin’ cute and fun to create with! My latest creation with this amazing set is this perfect little tea bag holder. How sweet is that little image?? LOVE IT! The flap on the box lifts up and inside are 4 little envelopes that are just the right size for a tea bag each. This is an incredible tool … if you don’t already have one you will definitely want to add it to your wish list! 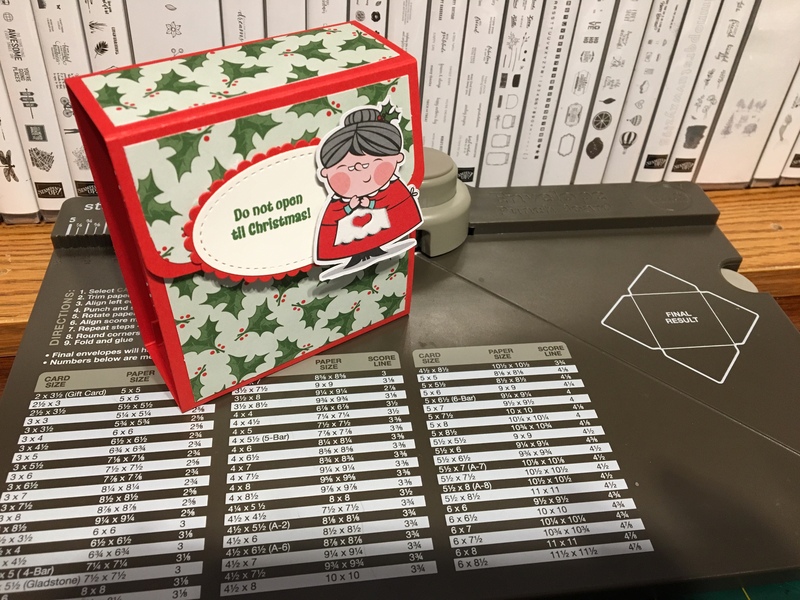 I am very pleased with the way this tea box turned out and my mind is already spinning with the other possibilities using this new holiday Suite. Thanks for stopping by. I hope you have a fabulous weekend! Also, don’t forget I have an order going in this weekend (Sunday). Let me know if there’s anything that you would like to add. It’s October …. spooks, turkeys and Santa’s are popping up everywhere. This is the best and busiest time for all of us crafters and is also a great time to stock up on supplies and add a few new items for this crafting season. I am in love with the new Stampin’ UP! Holiday catalogue and hope that you have all had a chance to browse through it, and if you are anything like me tagged, flagged and circled items on your wish list. If you would like to purchase any of the products on your wish list … now is the perfect time… I have an order going in on Sunday! * Isn’t this Festive Farmhouse suite just awesome!! I love it’s County Christmas feel. To place your order email me, call me, text me or message me on Facebook … whatever is easiest for you! Of course you can also order through my online store anytime … don’t forget to use the monthly hostess code! Happy shopping … I look forward to hearing from you. October is here and it is one of my favourite months of the year. The leaves are starting to turn beautiful autumn colours and the air is getting brisk. The smell of apples and pumpkin fill my kitchen and it’s such a cozy feeling. I love fall! Starting this month I am going to have a monthly Hostess Code to use on all online orders. This code can be used by anyone placing an order online throughout the month of October. The code gets entered in shopping bag (at the bottom) and must be entered before checking out. Everyone who uses this code during the month will be entered to win a Stampin’ UP! product gift from me. One entry for each order you place online. Draw will take place on November 1st. 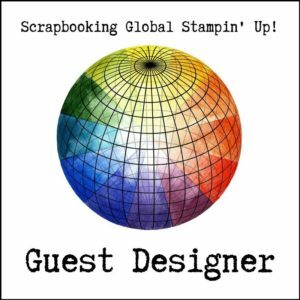 October is also the month of World Card Making Day and Stampin’ UP! is having a one week sale in celebration. 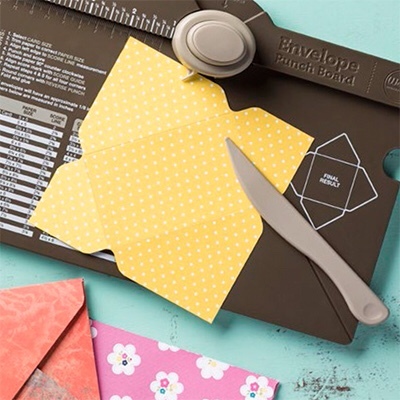 Many of the card making essentials are on sale for one week only! You can check out all of these sale items by clicking on the image below or under Current Promotions on the right hand side. If you see anything that you would like to order you can order directly online using the October hostess code FFWS7M73 or by contacting me directly.